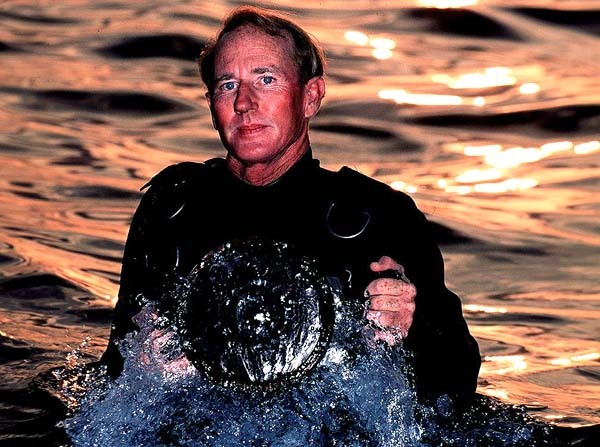 The community of underwater photographers has lost one of its guiding lights, as James D. Watt has succumbed to lung cancer after a 15-month battle. James Watt was a friend and mentor to many of today's dedicated underwater shooters, myself included. Though only 56 years old at his passing, James Watt has left behind an enduring legacy of powerful artistic accomplishments, and equally fervent friendships. I initially met James Watt when he signed on to one of Island Dreams' first Wakatobi excursions. This was during the "good old days," when the already arduous journey culminated in a 22-hour boat transfer from Kendari to Wakatobi on a rusty cargo ship. Our first conversations were leavened with Havana cigars, single malt Scotch, and a quartering sea. Jim was my roommate at Wakatobi in a tiny non air-conditioned, long house room crammed with our ice chests and photo gear. When not spending five hours per day underwater, we had plenty of time to share ideas and to begin to come to know one another. Before the journey, Jim made a big point of explaining to me that he had not joined the trip to pursue photography, but because he was burned out on working and needed a vacation. All that was quickly forgotten as our first Wakatobi day dawned and Jim was out the door on the fly shooting topside photos of pristine beach and palm trees leaning out over the glistening azure sea. 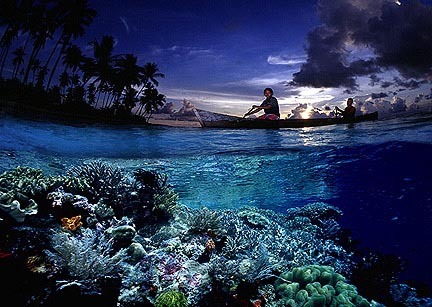 He went on to create artfully composed images of local fishermen in hand-hewn dug out canoes, over-unders including baby sharks and beach scenes, amazing sunsets with unique foreground elements, composite panoramas, and some of the absolutely finest underwater images every produced at Wakatobi. Our friendship began in the golden age of film, but Jim signed on to my following year's Wakatobi tour, when we both showed up with Olympus 3040 point and shoot cameras. He also brought with him one little plastic Inon submersible housing, just produced, which we proceeded to fight over for the rest of the trip. While the established film photography world was exceedingly skeptical and even condescending, James Watt immediately saw the budding potential of digital, and the very future of photography. 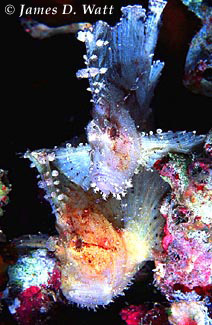 Jim was the first of the professional underwater photographers to boldly abandon his complete line of Nikon gear, as he switched to Canon so as to avail himself of that innovative company's first forays into digital SLR's. His first housing was a beautiful German job, custom produced for him at no small expense. I looked over his shoulder as he made its first dives on an exploratory cruise to Irian Jaya on the original Kararu live-aboard. It was exciting to perceive Jim's palpable joy as he explored the possibilities of instant photo feedback, while finally exceeding the austere limitation of 36 exposures per dive. Due to his well-honed skills and prescience regarding digital, James Watt effectively gained a five-year jump on the rest of the professional wildlife photography world. To my mind, it is the greatest measure of this man that from the very start, he chose to share his hard-won knowledge with the world. While others were proclaiming that "digital will never catch on," or that the "my stock agency will never accept it," Jim was posting "how to's" on the Internet u/w photo chat boards, explaining why it would work, and exactly how he did it. For those of us in Houston, we were fortunate that James Watt kindly graced our SEASPACE Film Festival on multiple occasions, and presented some of the most valuable underwater photography technique workshops that we've ever offered. His presentations to the Houston Underwater Photographic Society contained even more advanced content and precious insight. While other photo pros haggled with me for more money, top billing, or both, Jim was always ready to pitch in and help. Though he was based on the Big Island of Hawaii, all it took was one phone call, and Jim was making flight arrangements. On one occasion Jim scheduled his first trip shooting white sharks in South Africa, so that he could travel through Houston on his return to participate in SEASPACE. That turned out to be "the year of the flood," when for good measure his Houston hotel caught fire, and my wife Karen ended up helping carry Jim's heavy photo ice chests down the darkened emergency stairwells of the smoky Radisson Astrodome Hotel. It is a poignant sadness for us all that Jim's advancing illness and the rigors of chemotherapy forced him to cancel, at the last moment, his long-awaited participation in SEASPACE 2007. Oh yes, this is a man who will be missed by so many. 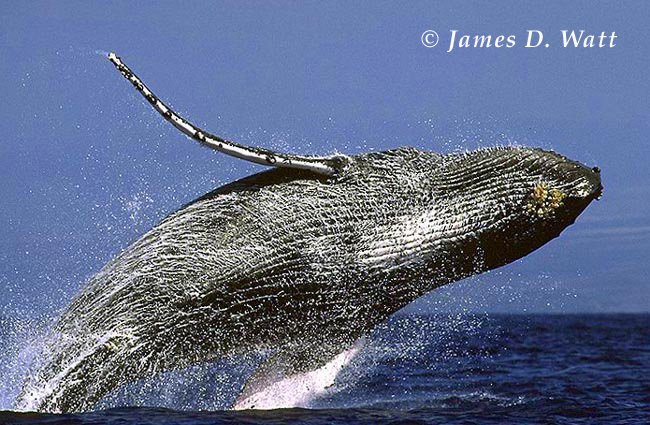 James Watt was a professional wildlife photographer of exceptional talent, always pushing the boundaries of possibility. Both a highly skilled technician, and an artist of great creativity, it was an education beyond measure to be Jim's dive buddy and watch him compose shots of "typical scenes" in completely new ways. While other professionals would have jealously hoarded such hard-won skills as secrets of their trade, James Watt had no fear of sharing the bounty of his vision. Along with his infectious smile, warm way with the local Indonesian children, his love of adventure travel, a good joke, a savored drink, and his general joie de vivre, it is Jim's sharing and caring spirit that I will always remember, and strive to hold alive in my own heart. Good diving brother Jimbo... we miss you greatly. But you will not be forgotten. 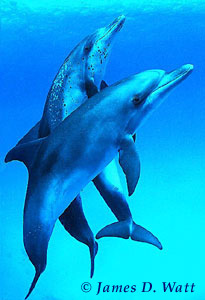 Your creative, artistic images and your unique spirit will live on in your name and in the hearts of many who had the pleasure of swimming with you.